A fixture on the world stage, the Matildas have qualified for every tournament since 1995. Described by many as the best female team in Australian history, they are youthful, dynamic and carry the hopes of the nation. 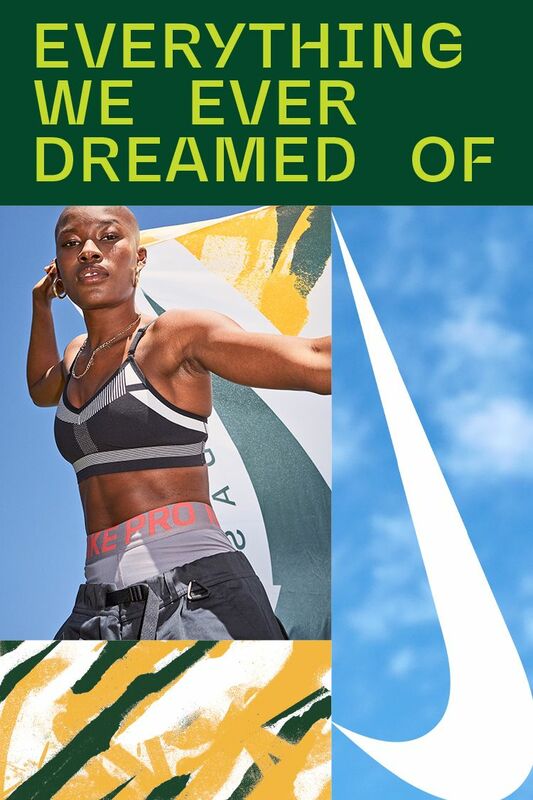 For the first time ever, the all-new Australia National Team home jersey is designed exclusively for the Matildas — and is coming soon to Nike.com. 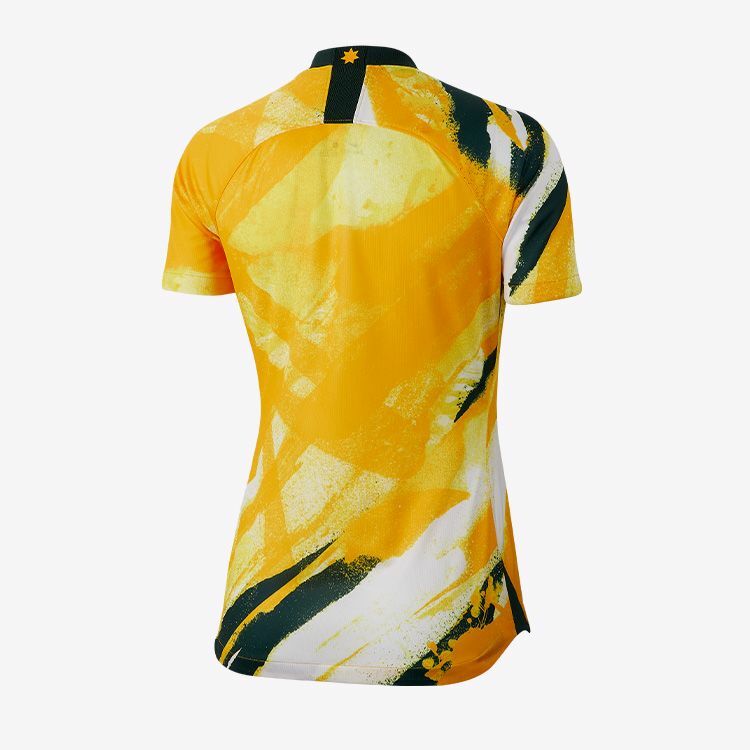 Inspired by the raw street art of Melbourne’s Hosier Lane and the famed Golden Wattle, the kit’s design encapsulates the youthful exuberance of this young team. 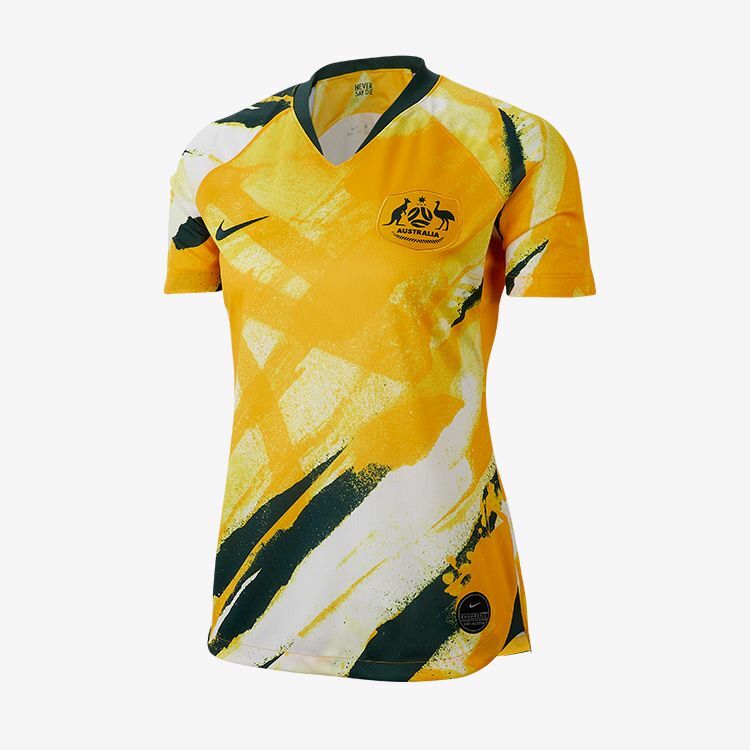 The team’s rallying cry - “Never Say Die” - is printed inside the home kit, representing the resolve of Australian sporting culture and the relentless fighting spirit of the team. Established in 1978 to take part in an invitational football tournament in Taiwan, the team was officially nicknamed the Matildas in 1995, shedding the “Female Socceroos” moniker and qualifying for the world’s biggest football tournament for the first time in their history. 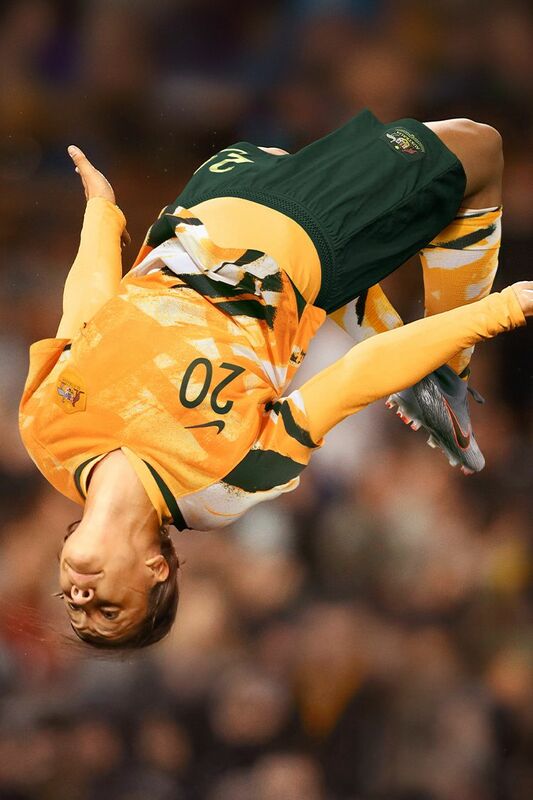 Sam Kerr: The fastest player on the pitch and impossible to mark, Sam is one of the most prolific strikers in the world and will lead the team as captain. A true icon of the world game, Sam is ready for one of the biggest years of her football journey to date. 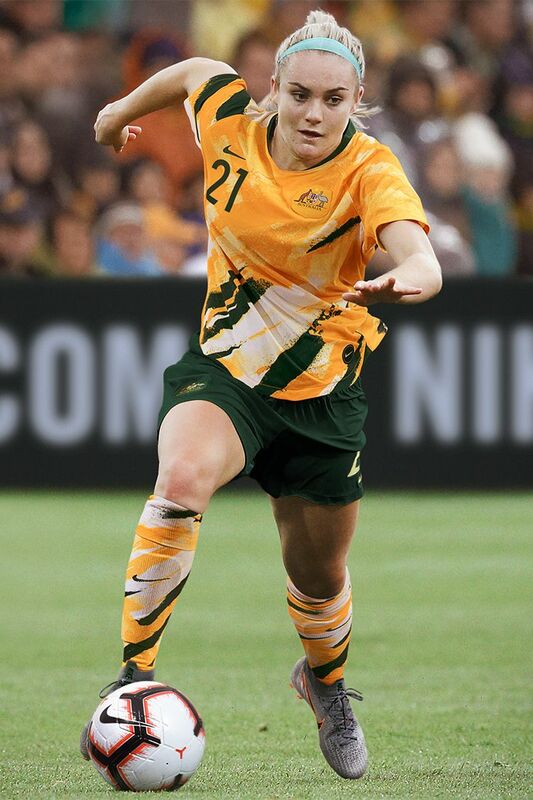 Caitlin Foord: Armed with the precision of PhantomVNM, the eyes of the footballing world will be on Caitlin as she partners with Sam up front to deliver goals and inspire millions. Ellie Carpenter: Debuting on the world stage in France this year, the young gun defender will use her speed down the wing to beat opponents and drive towards victory.